It seems to be tradition for me to scrap about my Mother's Day almost immediately after it happens. I'm not sure why that is since there are many photos that wait years to be scrapped. Maybe because on Mother's Day I'm reminded of how blessed I am, and I want to remember that always. This year was like most others except that we had company from out of town. I still got a hole handful of homemade cards, and we still went on a family hike. You can read about it in the page above. 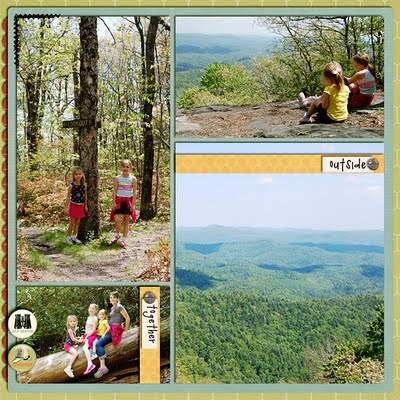 We hiked a trail we've hiked many times before, Whiteside Mountain in Cashiers, NC. 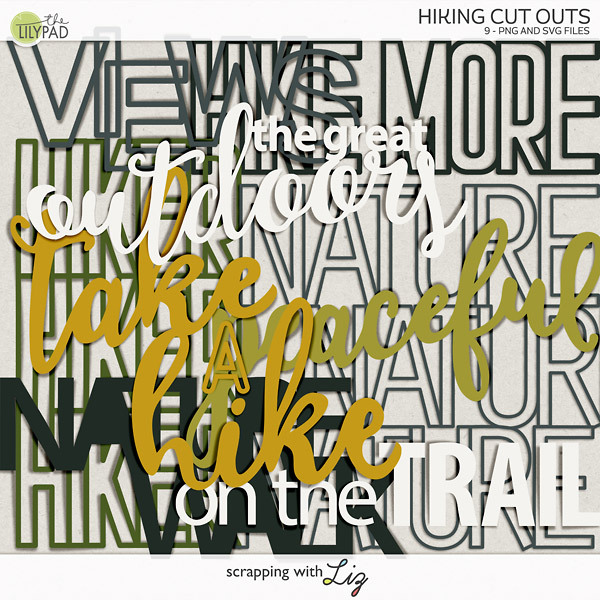 It's a 2 mile, beautiful round trip hike that is totally doable with our kids' ages. I'll admit that some of the cliff edges make me nervous, but there is a rope fence near the really steep sides. I'm pretty sure I said stay away from the edge a gazillion times. 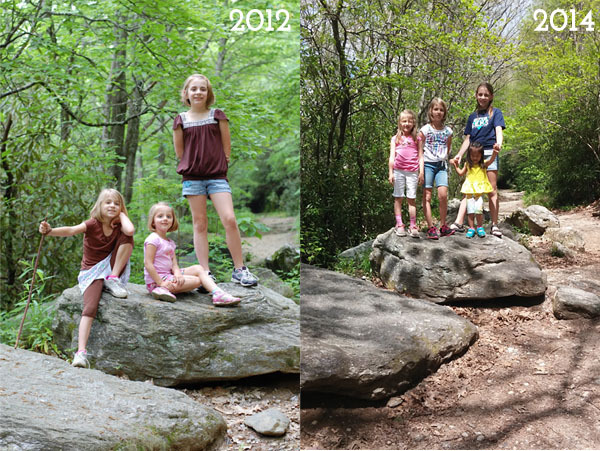 We took a picture of the girls on the same rock they stood on 2 years ago. I vividly remember hiking this trail in 2012 and thinking about how we would have to come back when Lydia was home so that she could hike it with us. Two years and we finally got back! And this time I said, "Next time we come, Matthew will be in the picture!" 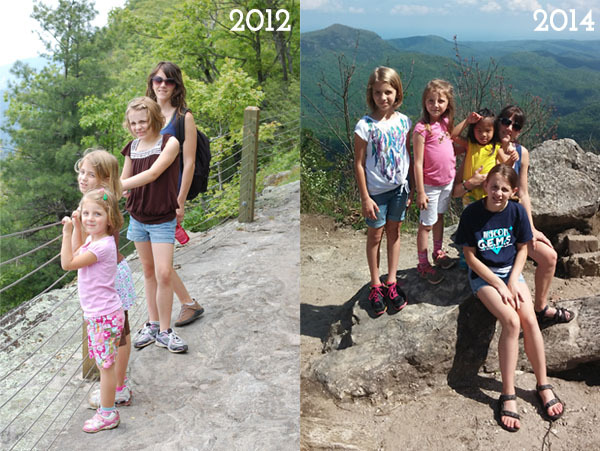 And here's a picture of the girls and I. I love to see how the girls have grown over the last two years. We've had lots of growth spurts around here. I also thought it was funny that I was wearing the same blue tank top. What can I say? That blue tank top has been with me everywhere. I still like my 2012 hair better than my 2014 hair...but it's slowly growing back. Enough about me. I also can't wait to see a little boy in with all of those girls! By the way both of the pictures on the left were taken with my phone. It looked like rain, and I didn't want to chance taking my dslr. 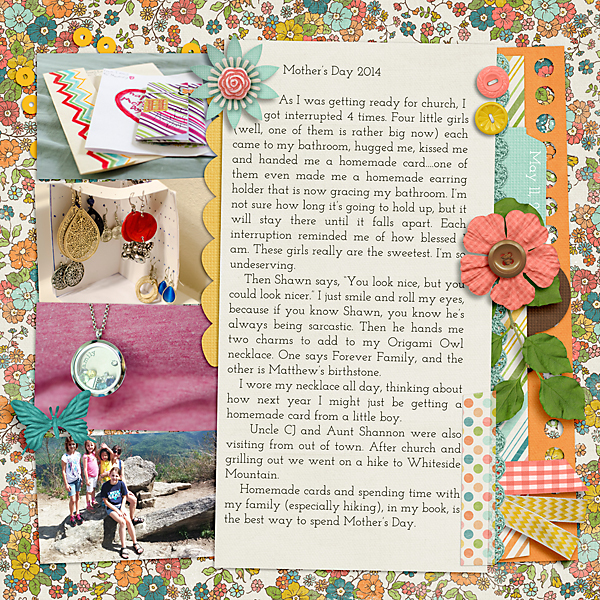 And just for fun I found some of my older Mother's Day pages. Read more about these pages here. Week 17: Easter, School, Work & Friends!